Making governance smarter in Andhra Pradesh may look outlandish for a government that swears by smart and Real Time Governance. 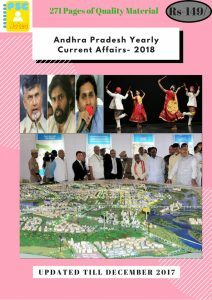 “Called Andhra Pradesh Priorities Project, it is based on the principle of time-tested cost-benefit analysis of policy decisions and quantifying how every rupee spent translates into benefits to the people,” .The project is aimed at providing the government and relevant stakeholders a systematic process to help prioritise “the most effective development solutions through this cost-benefit research across a comprehensive development agenda for the State. India is set to surpass China as the biggest importer of liquefied petroleum gas (LPG) this month. Shipping data in Thomson Reuters Eikon shows LPG shipments to India will reach 2.4 million tonnes in December, pushing it ahead of top importer China, on 2.3 million tonnes, for the first time. With more and more youngsters getting hooked on video games, both online and offline, the World Health Organisation (WHO) is set to classify gaming disorder as a mental health condition next year. In the beta draft of its forthcoming 11th International Classification of Diseases, WHO has included gaming disorder in its list of mental health conditions. Mental health experts and psychiatrists said this is the need of the hour as nearly 7% of population studied for gaming and internet addiction exhibited symptoms of depression and anxiety, and somatisation, including behavioural changes and sleep disturbances. Caregivers have expressed concern about the manifestations of excessive use of video game on users in the form of truancy from school to play, falling academic grades, decreased social activities; irritability if unable to play longer or advised to stop; increase in expression of aggression; and wrist pain and neck pain. It also leads to presence of psychiatric distress among caregivers and loss of pleasurable activities. Any illness has an impact on the individual as well as those around in terms of physical, emotional, academic, cognitive, distress, and social dysfunctions. The government cut the interest rate on small savings schemes, including public provident fund (PPF), national savings certificate (NSC) and Kisan Vikas Patra, by 0.2 percentage points for the January-March quarter, a move that will prompt banks to lower deposit rates. Interest rates in the five-year Senior Citizens Savings Scheme, however, has been retained at 8.3%. The interest rate on the senior citizens’ scheme is paid quarterly. As per the finance ministry notification, PPF and NSC will fetch a lower annual rate of 7.6% while KVP will yield 7.3% and mature in 11 months. The girl child savings scheme Sukanya Samriddhi Account will offer 8.1 from existing 8.3% annually. Term deposits of 1-5 years will fetch a lower interest rate of 6.6-7.4%, to be paid quarterly, while the five-year recurring deposit is pegged at 6.9%. Actor Anushka Sharma has been named PETA’s Person of the Year by animal rights organisation People for Ethical Treatment of Animals (PETA). Anushka is a vegetarian, has nabbed the title for helping to protect dogs from fireworks to advocating for horses who are forced to pull carriages in Mumbai. The government said it plans to complete the work of installing bio-toilets in all passenger trains by March 2019. The Minister said retro-fitment of bio-toilets in existing in-service coaches is also being done to a limited extent in coaching depots. A BioToilet is a next generation eco-friendly waste management solution, which reduces solid human waste to biogas and pure water, with the help of a bacterial inoculum. A bio-toilet is a toilet attached to a fermentation tank containing aliquid consortium of epecially developedbacteria—aerobic or anaerobic. Indian RAIL has rolled out new coaches with bio-toilets, using the bio-digester concept of the Defence Research and Development Organisation (DRDO). 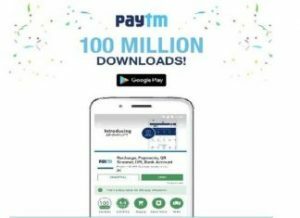 India’s largest mobile-first financial services platform, Paytm announced that its app crossed the 100 million milestones on Google Play Store in the second week of December 2017. This makes Paytm the country’s first payments app to cross the 100 million downloads mark. Union Agriculture and Farmers’ Welfare Minister, Shri Radha Mohan Singh launched Livestock Disease Forewarning –Mobile Application (LDF-Mobile App). The app is developed by ICAR-National Institute of Veterinary Epidemiology and Disease Informatics (ICAR-NIVEDI), Bengaluru. Apart from early warning, the app will also provide information about clinical samples for the diagnosis in case of the epidemic so that immediate action can be taken in case of the epidemic.